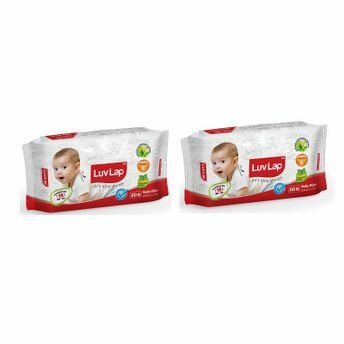 LuvLap baby wipes are enriched with Aloe Vera and Vitamin E, and keeps your baby clean and fresh always while ensuring the baby’s skin remains moisturized. These are ideal for baby’s delicate skin and can be used to clean and wipe your baby during diaper change, meal times and travelling. Luvlap aims at bringing the best of Baby care, Hygiene and Travel gear products that are made keeping in mind the demands and needs of Parents and their new born baby .Made with care and using the latest technology, all LuvLap products undergo multiple quality checks before they are despatched to the stores and conform to the European standards of child's safety.